After being involved in more than 30 business ventures in a career spanning 40 years, Don Simmonds oversees Blyth Group strategy and is personally engaged in providing Strategic Advisory and Mediation services to select clients. Don Simmonds lives near Toronto, Ontario in the countryside community of Uxbridge. He currently serves as the Chancellor of Crandall University, a Christian liberal arts university located in Moncton, New Brunswick. He has held various leadership positions, ranging from founder, CEO or Director at companies such as Blyth Group, Baylin Technologies Inc. (“BYL.TO”), Crossroads, YesTV (formerly CTS), Jameson Bank, AirIQ (“IQ.TO), Airnet Services, Youth Unlimited, MOCO Canada, Brooktel, Clearnet, Shobrook, Uxcom, and Faydon Enterprises. The organizations span industries that include renewable energy, technology, telecommunications, financial services, agriculture and media. Don is a recipient of the Queen’s Jubilee medal and in 2008, and along with his late father and brothers, Don was inducted into the Canadian Telecommunications Hall of Fame. In 1977, Don began his management career as a founding partner of The Lenbrook Group, a private business incubation company known for having created Clearnet, one of Canada’s 3 wireless networks which was sold to Telus in 2001. Don also founded AirIQ, a company well known for pioneering the wireless GPS tracking industry providing remote location and control of vehicle fleets and marine vessels throughout North America. While he served as Chief Executive Officer the company was recognized as one of Canada’s fastest growing technology companies in the Deloitte Canadian Technology Fast 500 Program. It was also ranked 12th and then 17th in PROFIT magazine’s ranking 2005 and 2006 list of Canada’s Fastest-Growing Companies. Don was a finalist in the Ernst and Young Entrepreneur Of The Year® Awards in 2005. 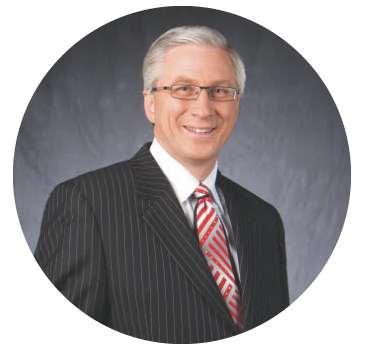 More recently, Don held the position of Chairman and Chief Executive Officer of CTS TV (now YES TV) and Crossroads Communications, where he participated in creating a new vision for how messages of faith and values can be incorporated into our modern, digital media. Don currently serves on the International Advisory Board of Unashamedly Ethical an international movement dedicated to ethical business practices and supported by politicians, business leaders and local communities in 107 countries. Taking a 3-year sabbatical in the early 1990’s, Don and his wife Fay aided in the creation of a series of national initiatives to assist Canada’s youth. He has coached hockey in his home town of Uxbridge for 25 years and is currently the head coach of the Uxbridge Tigers, the local High School Varsity Hockey Team. The Tigers motto is to “win at hockey and win in life.” Don teaches a character program to the young men using the hockey experience. Each year over the Christmas holidays the Tigers conduct “Hope Through Hockey”, in a First Nations community in Northern Ontario where they hold hockey clinics for the children and teenagers.